This classic brick mailbox was built in Joliet, Illinois by Mailbox Remedies. The brick mailbox features a Salsbury all aluminum mailbox. 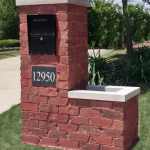 The classic brick mailbox is enhanced with a custom embedded limestone address block and topped with a limestone cap. 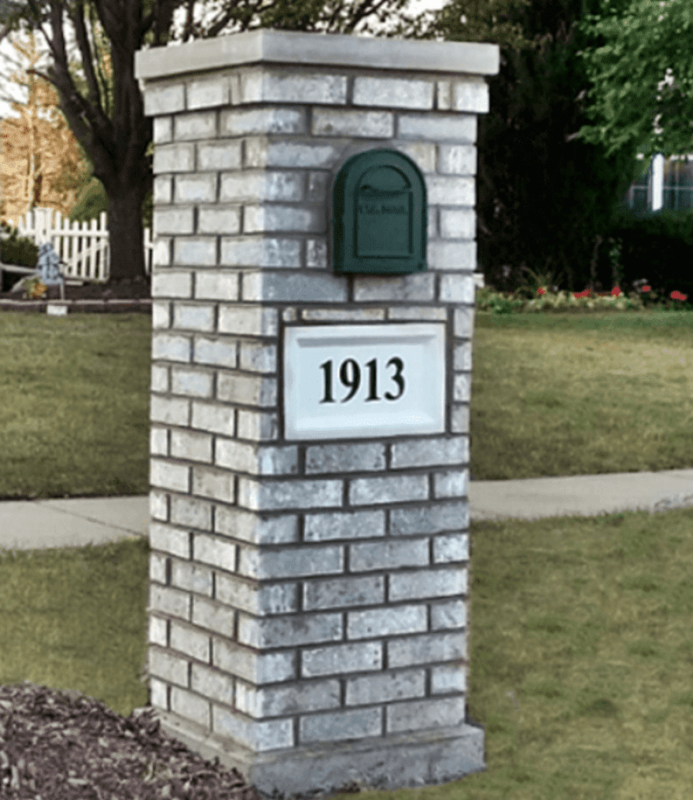 All in price of $1300 for this classic brick mailbox as shown, including all materials, labor and foundation build out. Contact Mailbox Remedies for mailbox installation, brick mailboxes and basketball hoop installation. Serving Joliet, the Greater Chicago Area and Northwest Indiana. 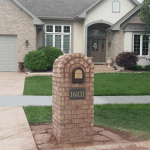 Mailbox Remedies is 5 star, customer rated for mailbox installation, brick mailboxes and basketball hoop installation. See our Yelp and Google reviews.